Is this his molted legs? I dont know if they cant molt above ground or not. Hes moving now and looks pale so it might be but I really dont know I've never had a molter before.. I started crabbing pretty recently, so I may be wrong. I think you should isolate him, and feed him stuff with high calcium. If the crab is in the shell and very pale and soft, it just molted. Don’t touch the body if it is soft, but pick it up gently by the shell and pick up the exoskeleton and isolate the crab with the exo. 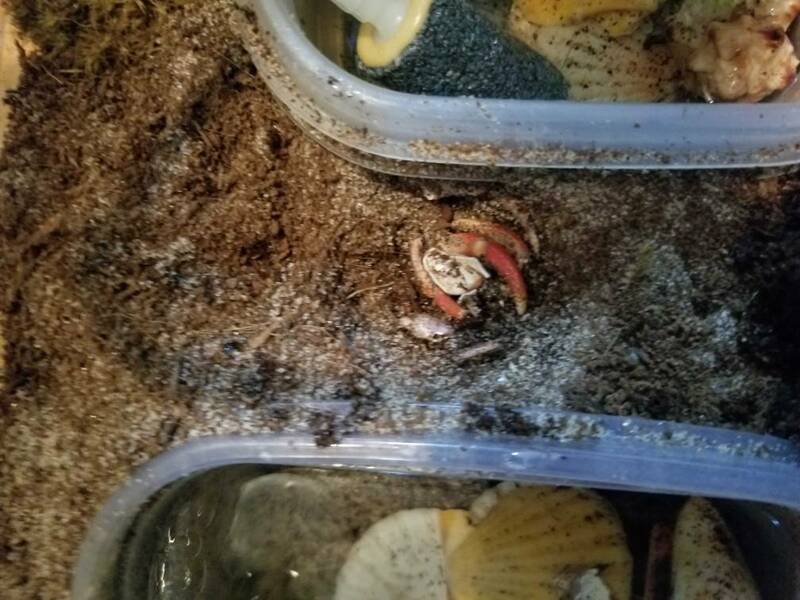 You can even put a 2 liter soda bottle over it inside the tank to keep it safe, just cut it in half and press it own into to the substrate over the crab and exo. It needs to eat the exo to regain nutrients it needs. Yes, I would still isolate him, unless he is the only crab. 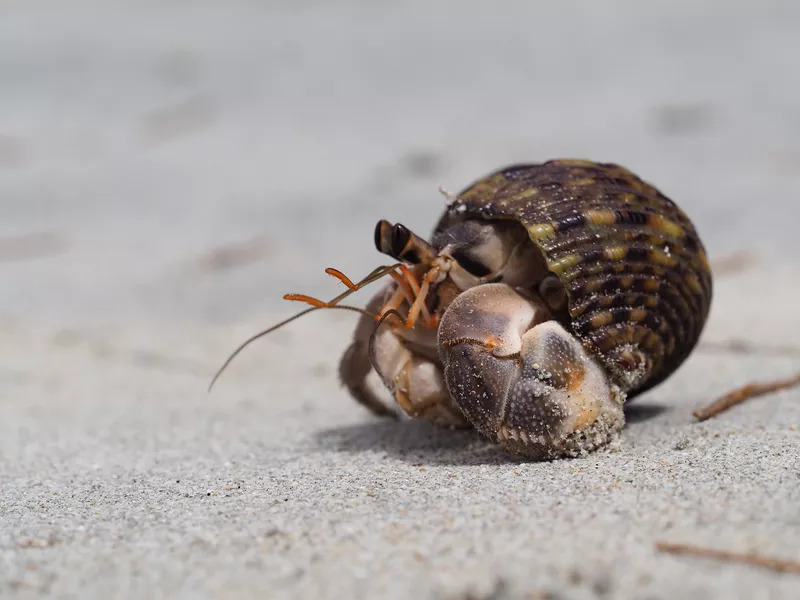 If he is freshly molted, he will be vulnerable to the other crabs. Crabs *can* molt on the surface, but they *shouldn't*. A surface molt often means the crab doesn't have proper conditions to molt. Sorry if you've answered somewhere else, but what kind and how much substrate do you have? What are your temp and humidity? IMO, you should still isolate him. Provide him with calcium (eggshells, cuttlebone, coral, oyster shell, exoskeleton), Protein: (bugs, meats), honey. Surface molts happen for a lot of reasons. If you fill out the emergency template we can help you figure out why.